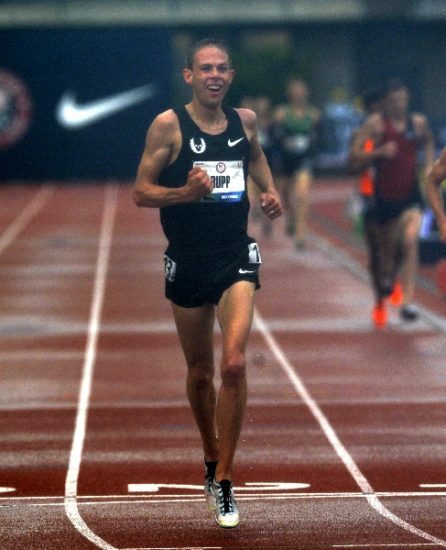 EUGENE (Sporting Alert) — Galen Rupp and Mo Farah headline respective strong distance fields for Friday’s men’s 5k and 10k in the Distance Night at the 2015 Prefontaine Classic Diamond League in Eugene, Oregon. USATF.tv Will Stream Live Coverage of ‘Distance Night’ Live Online: Watch Here at 11pm ET/8:00pm PT. 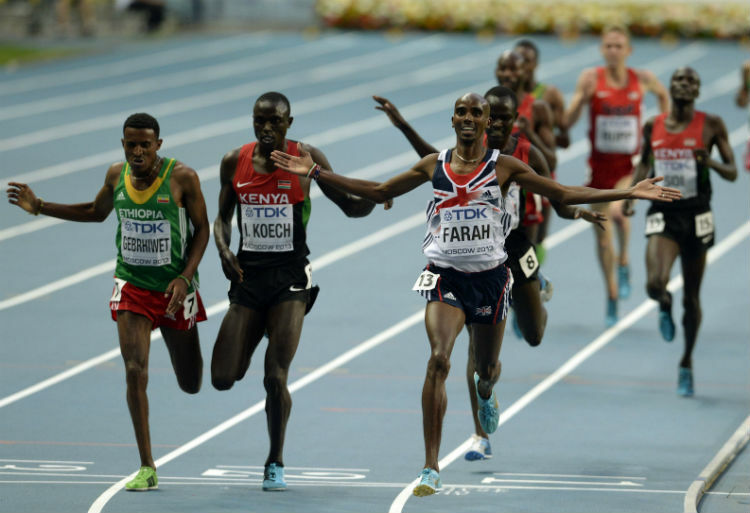 World and Olympic champion Farah of Great Britain heads the starting list for the men’s 10,000m title, while Gupp, the Olympic 10k silver medal winner, will tackle a solid 5,000m field. Farah, who finished second over 3,000m in 7:38.22 at the opening Diamond League meet in Doha, will make his season debut in the 10,000, where he will face a loaded field that will include world-leader Paul Tanui, who produced an impressive 26:49.41 to win the event last year. The talented list also includes Kenya’s 2008 world junior champion Josphat Bett, who finished second in this event at last summer’s Commonwealth Games and holds a life-time best of 26:48.99, which he set four-years-ago in Eugene. Another Kenyan athlete to keep on a close eye is the reigning world cross-country champion and world half-marathon champion, Geoffrey Kamworor, who is confident that he is on course to finally break the 27-minute barrier and better his 27:06.35 best from Prefontaine Classic 2011. Nevertheless, with his credentials coming into this race, it would be safe to say the event remains Farah’s to lose, giving that he has a four-year undefeated streak over the 10,000m at major championships. A tally of five athletes entered in Friday night’s event have gone faster than 27-minutes in this event, with Kenyans Emmanuel Bett, who is of no relation to Josphat and Kenneth Kipkemoi also on that list as well. In the men’s 5,000m, American and Farah’s training partner Galen Rupp, will also get his outdoor campaign underway over this distant. Rupp, who won the 10,000m in the 2014 edition, will face-off against fellow countryman and distance veteran Bernard Lagat, 2008 Beijing Olympic bronze medal winner Edwin Soi of Kenya, fellow countryman Lawi Lalang and Bahrain’s Albert Rop, who have all dipped under 13-minutes. The world-leading time for the event is 13:11.44, held by South African Stephen Mokoka. There are also action in the field on Friday night as well, as the women’s Long Jump competition is expected to be tasty with Americans Tianna Bartoletta and Brittney Reese heading the list. Bartoletta leads the world with a mark of 6.99m, but will face-off with Reese, who is the Olympic and world championships reigning gold medallist. On that list as well is Canadian Christabel Nettey, who has jumped 6.98m already this season and has two of the top four best jumps on the term. Great Britain’s Shara Proctor is also on good form heading to Eugene, having jumped 6.95m to finish second to Bartoletta in Doha, two-weeks ago. American world-leader Joe Kovacs heads the list of competitors in the men’s Shot Put, with back-to-back world champion David Storl of Germany Olympic, bronze medallist Reese Hoffa of USA and 2008 and 2012 Olympic gold medal winner Tomasz Majewski of Poland also in the lineup.